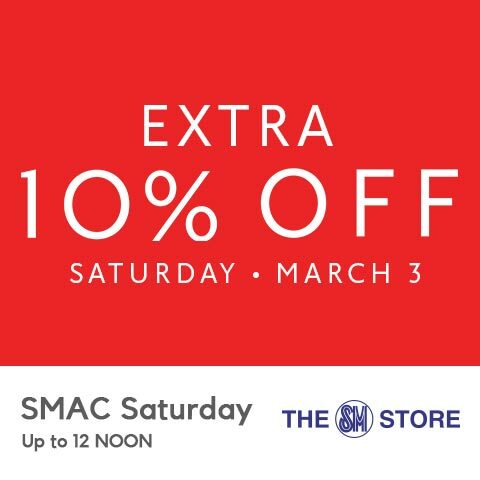 SM's 3-day SALE is here again! Check it out on March 2-4, 2017 at SM City Pampanga, SM Bacolod, SM Taytay, SM BF Parañaque, and The Podium. 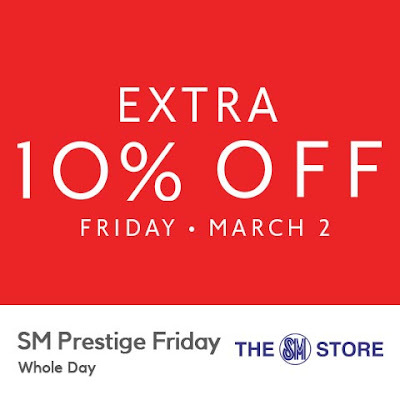 Get up to 70% off on selected items from participating stores mallwide! 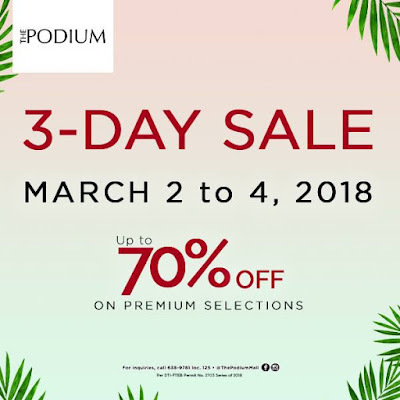 SM Advantage, SM Prestige, and BDO Rewards cardholders get EXTRA 10% OFF during SMAC Saturday on Saturday, March 3, 2018, up to 12 NOON when you shop at The SM Store and select SM Retail partners.